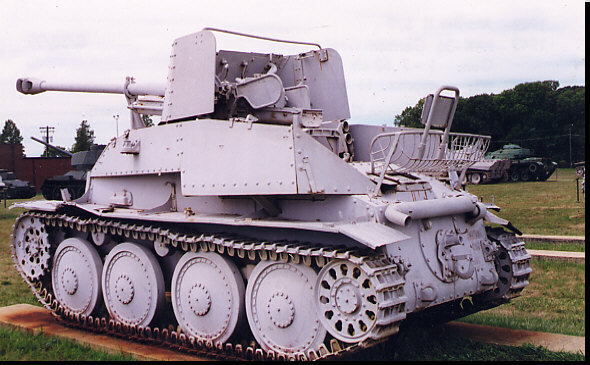 1942- German SP AT 76 mm Gun Marder III "Marten"
(Sd Kfz 139) Mounted on Czech 38(t) chassis. 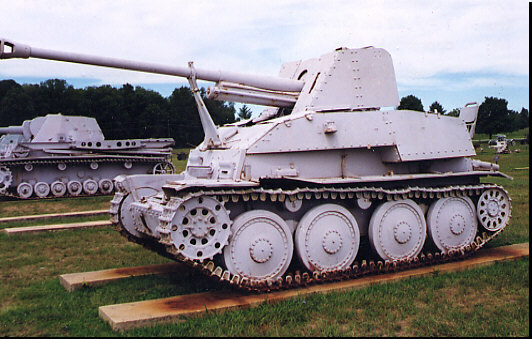 Short-term solution to a superior Russian armor was to mount a captured Russian 7.62cm gun on the PzKpfw 38(t) obsolete Czech chassis. Eventually, 344 were built. 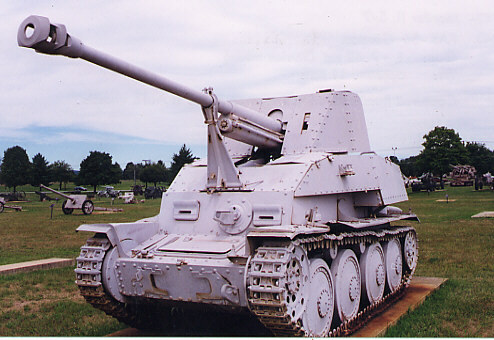 Gun was rechambered to take a PaK40 cartridge. Served mainly in Russia; 66 were dispatched to North Africa.